I arrived at the appointed time. There was an aroma of freshly baked bread as I stood at the reception desk. I stood there like a man waiting for news of a momentous event in his life. Right now, the world outside didn’t exist; I was focused on getting a table, I just needed to get past the gatekeeper. 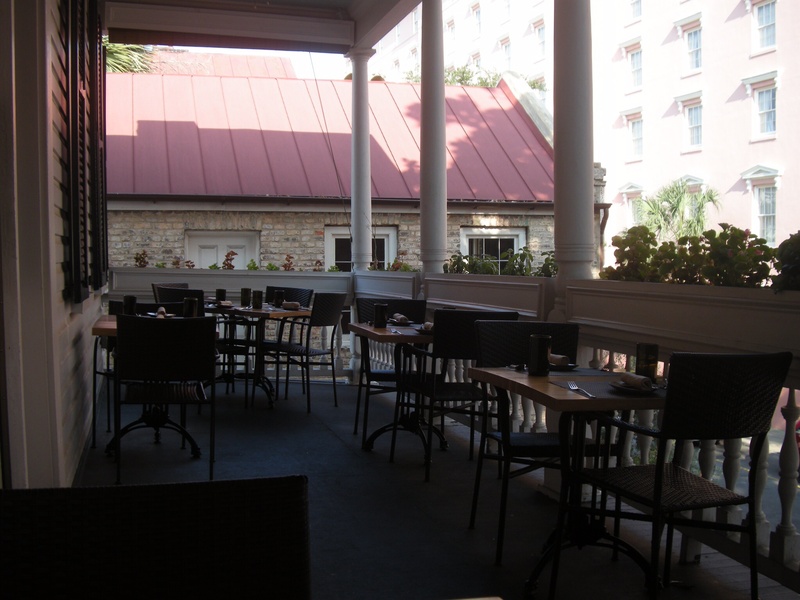 Husk and the balcony where I hoped to enjoy good southern cuisine. ‘Ok Sir, you’re on the wait list for our balcony. If you would like to take a seat at the bar, we will let you know when or ‘IF’ we can seat you,’ the lady with the big book said. Sitting at the bar, I began to think I was in danger of making this experience a bit too much to live up to. I had built this meal up in my head based on what other people had told me. There was a big chance that I was about to fall flat on my face or perhaps stomach. Anyway, I thought, I could be here at the bar for a while, or forever according to the receptionist, so I’d better hunker down and have a drink. I perused the cocktail menu. There was a CBWS’s Punch, which is a blend of bourbon, Barbados rum, citrus juices, honey and raw sugar simple syrup. Or perhaps I’d go for something called a ‘Yard too Far’, which is a mix of vanilla and ginger macerated bourbon, pecan orgeat and pecan bitters. Bourbon seems to be a staple ingredient for most of the cocktails at Husk so I thought ‘when in Charleston…’ and ordered a Charleston Light Dragoon’s Punch, which has no bourbon in it, is a recipe from the Charleston Preservation Society, and is a bit of a signature drink around here. The Charleston Light Dragoon’s Punch is a blend of California brandy, Jamaican rum, peach brandy, black tea, lemon juice and raw sugar. As I waited for my cocktail, I noticed there was a bar menu that included chicken wings and burgers so if I couldn’t get a table at least I wouldn’t starve. I took a sip of my Charleston Light Dragoon’s Punch. It was good, very good. Then the barman said, ‘Mr. Moore? Your table is ready now’. I had been at the bar for exactly ten minutes. 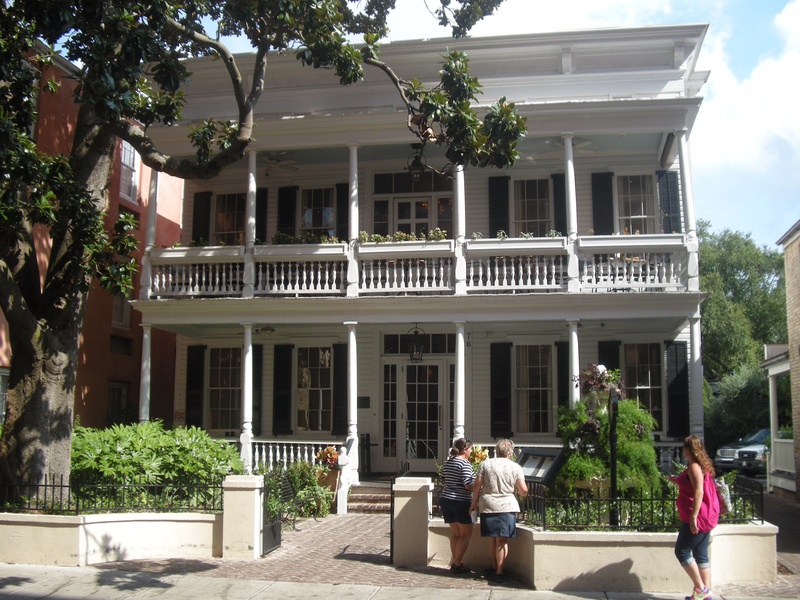 As I turned in my chair, my Charleston Light Dragoon’s Punch still in my hand, there was the gatekeeper carrying a menu and ushering me towards the stairs leading to the balcony on the second floor. On the balcony, my table was indeed ready for me, as were the other seven empty tables – all ready, all empty. ‘I thought they were fully booked,’ I said to myself as I took my seat. Was this all hype? Had I made a mistake choosing Husk? Heirloom Tomatoes with Texas Olive Oil, Fishing Creek Goat’s Milk Feta and Herbed Bread Crumbs. I looked up from the menu to see that two couples and a group of four had joined me on the balcony. Manchester Farm’s Quail, Roasted Peach ‘Farrotto’, Charred Eggplant and Chanterelles, Peach Relish, Honey Thyme Jus. American Red Snapper, Summer Squash and Zucchini with Fire-roasted Fennel, ‘Confit’ Cherry Tomatoes, Shrimp Bisque. I looked up from the menu again and the balcony was full of hungry people all reading their menus as if they were studying for some final exam. Perhaps I hadn’t made a mistake after all. Local Oysters with a Raspberry and Mint Vinaigrette followed by Atlantic Grouper, Fire-roasted Mepkin Abbey Mushrooms and Shishito Peppers with English Peas, Mushroom-Soy Broth. As I finished my Charleston Light Dragoon’s Punch, I got myself ready for what I hoped would be THE meal of the American Adventure. 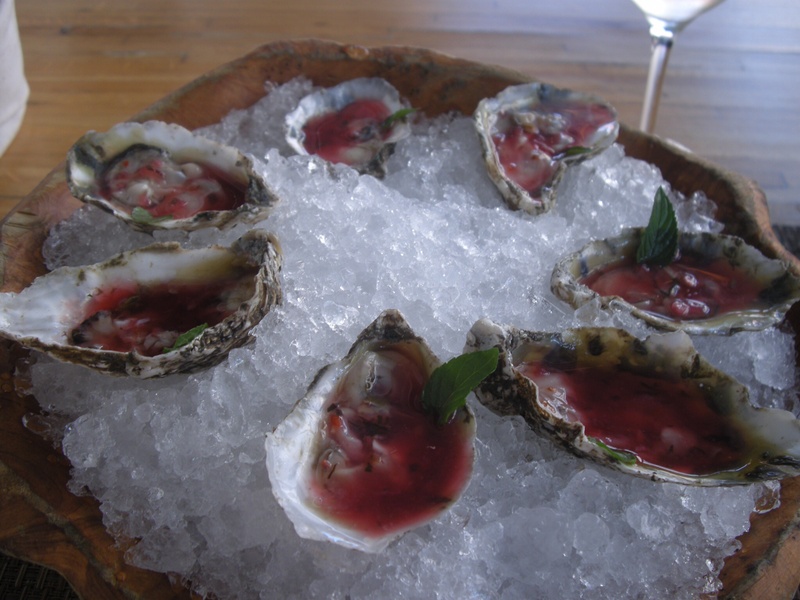 In a large wooden bowl filled with ice, half a dozen oysters in the half-shell were swimming in a raspberry and mint vinaigrette. It all looked very pretty but I like my oyster au naturel, tasting of the sea not raspberries. I tried a raspberry oyster. It was a revelation. I have never tasted anything so strange and so good all at once. The beautiful oyster wasn’t overwhelmed by the raspberry and the mint, in fact, each element worked perfectly together. This was a very good start, a very good start indeed. White meaty fish, perfectly cooked with flavours of the east and west fused together to produce a meal that will be remembered with relish on those cold, wet winter evenings back on the Sheep’s Head peninsula. It was perfect. Well, almost perfect … there was a very important element missing. Oh, this ‘something missing’ had nothing to do with the food or the room. It’s all a bit more personal. Anyway, the experience at Husk was indeed spectacular: delicious food, cool drinks and a very attentive and efficient staff. However, I have a very simple code when it comes to pronouncing my views on what divides a good restaurant from a great restaurant. Forget about Michelin Stars, there is only one way to decide and it’s rather basic. There are very few restaurants where I have eaten that I would call ‘great’. I’m lucky, I live within walking distance of my favourite ‘great’ restaurant – The Good Things Café, on the Sheep’s Head peninsula. And, in my humble view, what makes The Good Things great is the fact that I have never had a bad meal there. That’s what it takes to make a great restaurant, consistency. Is Husk a great restaurant? I decided to put my code to the test, I would go back again before I left Charleston. And that’s exactly what i did. Forty-eight hours later to be precise. Again, I put my name on the wait-list for the balcony and again I didn’t have long to wait. 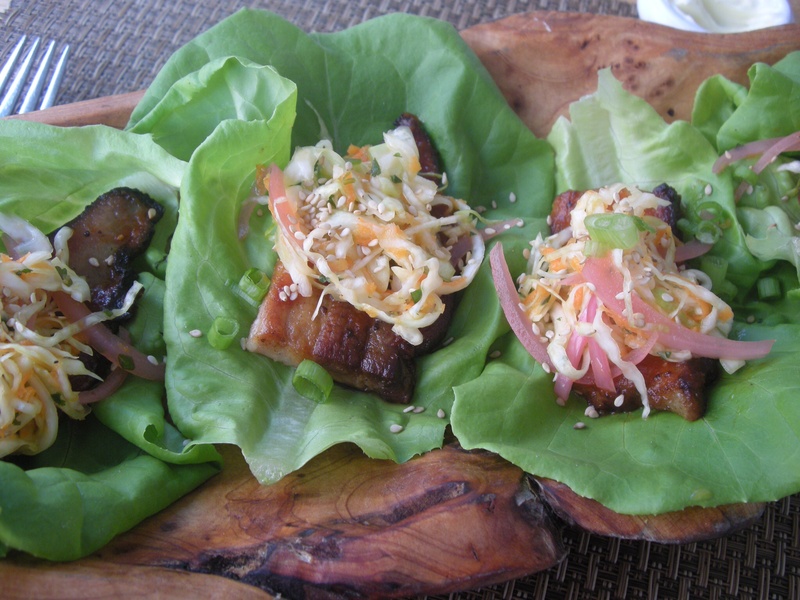 This time, I started with Slow-cooked Marinated Pork Belly, with Pickled Greens and Asian Spices wrapped in Lettuce Leaves. 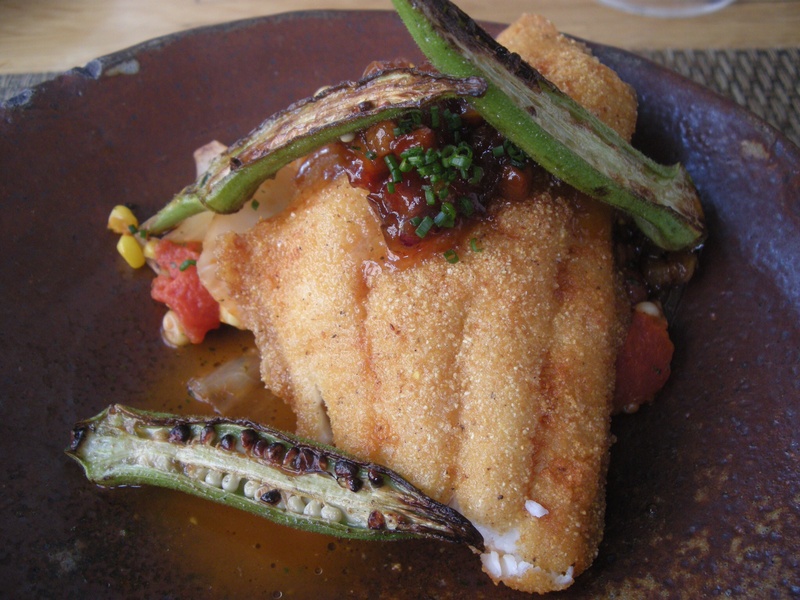 Then it was time to sample the Cornmeal-dusted North Carolina Catfish, Pepper Mash Glazed Fried Cabbage with Sweet Corn, Charred Okra, Green Tomato Chow Chow. 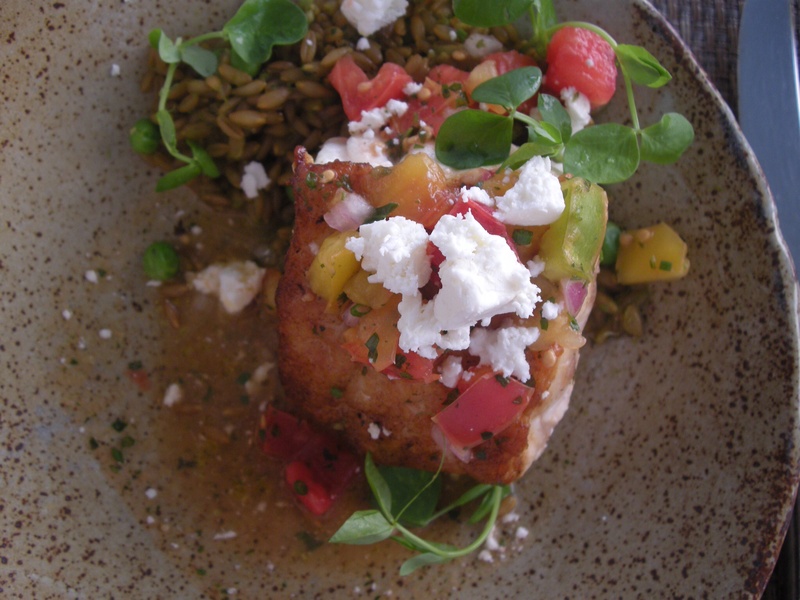 All delicious, all expertly cooked and served, and each one adding to the overall eating experience at Husk. Charlestonians are indeed very lucky to have such a restaurant to enjoy and savour. Serving the finest southern ingredients, Sean Brock and his team at Husk have created a foodie oasis for this weary traveller. Indeed, I would go so far as to say that Husk and Charleston have restarted my somewhat stalled American road trip. 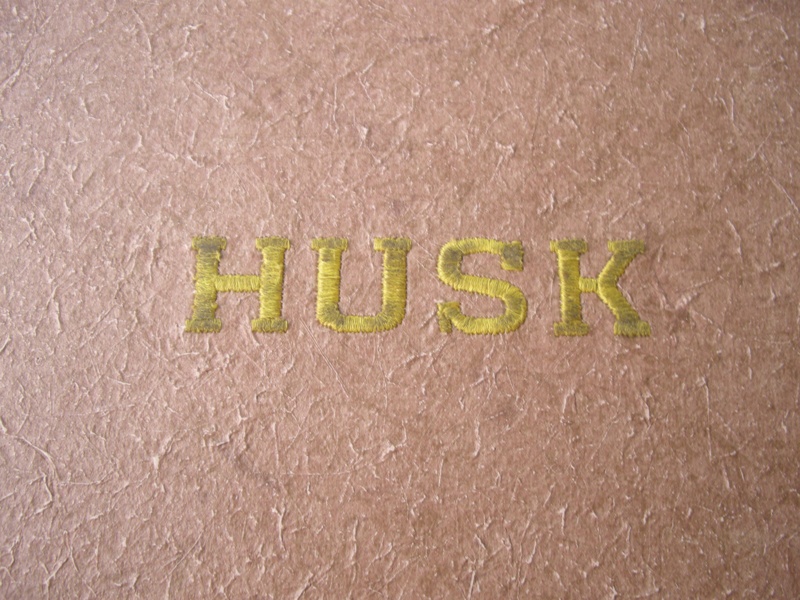 All that’s left is the question: ‘Is Husk a great restaurant?’. Well, in my humble opinion, for what it’s worth, I would have to say that Husk IS a great restaurant, and WHEN I get back to Charleston again, I will head first for the Elliott House Inn, drop off the luggage and then make my way to Husk for a Charleston Light Dragoon’s Punch and an evening of great southern food.